Job board software enables you to build job listings into your website, enabling your site to act as a jobs portal and accept candidate applications. Why would you want to do this? Simple: you either need to attract candidates to your open positions or you are a publisher and will be paid, typically according to some form of revenue share or PPC revenue model. Interested? Read on. This type of job board software is not primarily intended for employers or recruiting agencies, it is typically aimed at information portals with a careers, business, news or specialist industry leaning, (the latter of which lending itself well to sector or skill specific job listings). Oftentimes, an employer applicant tracking system will include job board functionality into their recruitment process workflow, so for employers it’s often easiest to go with their internal recruitment systems. 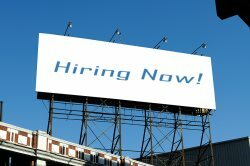 So, if you are looking to monetize your informational portal with a job board, you’ll find there is a myriad of choices in the marketplace, so I have narrowed the market down for you and presented a list and brief summary of some of the leading job board creation tools and portal products in the employment software space. JobBoard.io is a modern software system that makes launching high quality job boards easy. It is easy to manage, maintain and use, which means that you can focus on growing your job board business. Out of the box, it includes mobile-responsive layout, job aggregation and back-fill, quality design templates, integrated applicant tracking, employer profiles, custom domains, email job alerts, and eCommerce. This job board software is geared towards niche sites, but can be used by the mass market. It was originally created to power its own niches jobs boards and then began to offer its creation to the market place. It can create jobs boards that list vacancies from a specific sector, market and/or location. The jobs board is fully customizable so it can fit in with the look and feel of your site. Also, there are 6 different ways that you can earn money from the site, you can easily adjust the pricing of each service. Finally, the jobs board can be translated into any language. Job Target currently powers over 3,000 jobs boards and markets itself as one of the leading providers of niche jobs boards. They indicate that they offer the ‘most generous revenue share’ offering in their industry, and they offer 8 different ways of earning revenue from their platform. The site is fully customizable and has foreign currency options. JobThread contains two products aimed at publishers; these are the Job Thread Publisher and JobThread Widget. The Publisher is a full service, hosted job board software and also includes an integrated ad module. The Widget Product is a small dynamic box that can be placed in your side menu – and looks a little bit like a google ads box – and provides a stream of jobs targeted to your website audience. JobThread is geared toward larger sites or very niches site and is used by leading bloggers and publishers, and is fully customizable. SmartJobBoard is aimed at the mass market and is well suited to niche, general, employer or job seeker orientated sites. Like the others before, it is fully customizable. It also offers multi-language and multi-currency support. It has additional plugins which allow the site to utilize the Linked-in and Facebook network. It also has an I-Phone application and there is a Mobile version plug-in. When evaluating job board technologies, be sure to perform a business analysis of your future and/or expected earnings. Purchasing and implementing a full job board system can be a significant investment of both time and money, so make sure to do it carefully. The days of easy revenue and traffic building for niche job sites are essentially over – so know that no matter which software system you go with, you will have your work cut out for you to make your job board successful!